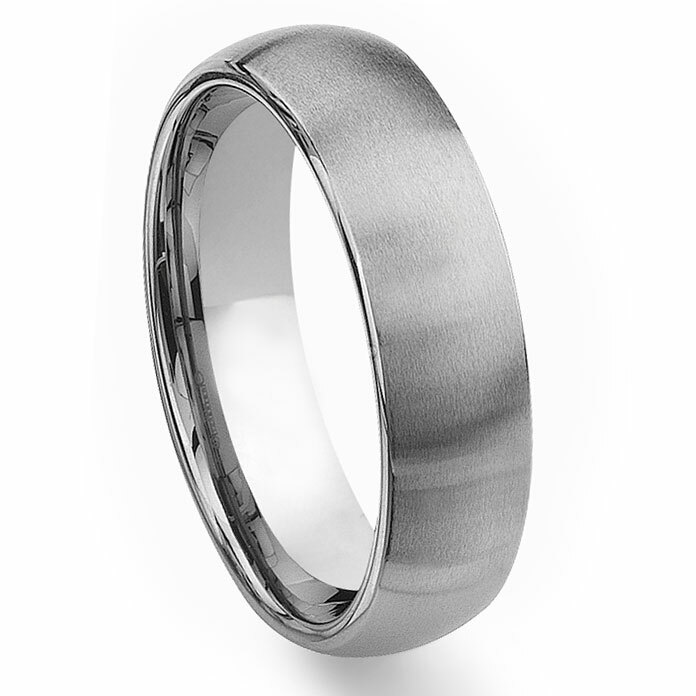 A medium width tungsten carbide ring in dome profile with satin finish on the outside. This ring will make a great everyday wedding ring. The satin finish gives this ring the understated look which is perfect for people who find the high polish shiny rings too flashy for their tastes. It features comfort fit design on the inside and it is also created with nickel as the binding agent during manufacturing processing so it is hypoallergenic. A common asked question for this ring is whether the satin finish going to undermine the scratch resistance of this ring and the answer to that is no. The entire ring is created only with solid tungsten carbide and it will be as scratch resistant as any tungsten carbide ring.